Can you help find a future for VIC 56? Searching for new future for VIC 56. Are you a potential owner or group willing to take on the vessel? Can you help? Please see our 'future' page for details. 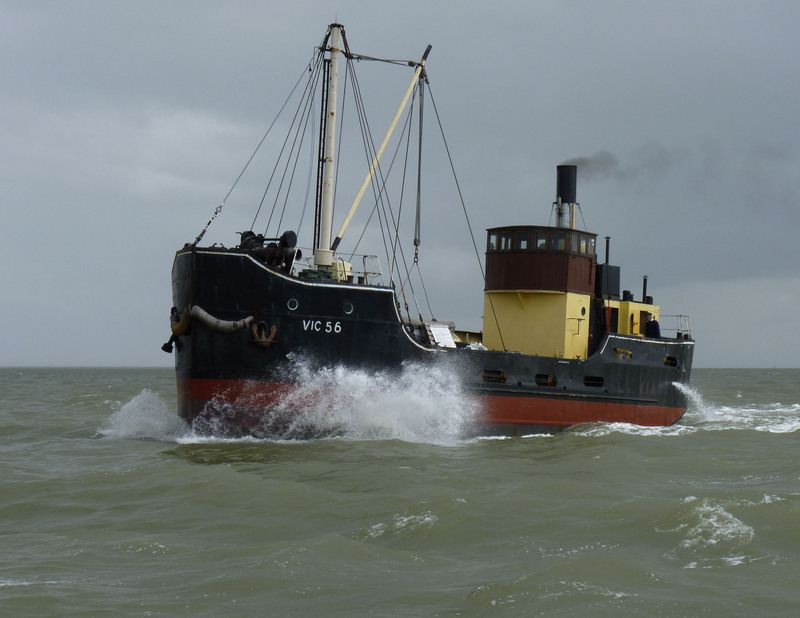 For most of her working life, the VIC 56 was used in Rosyth naval base as an ammunition vessel. She was due to be disposed in September 1978, but was bought for preservation by J. H. Cleary, the present owner. A video of the VIC 56 underway by Bob Gwynne. The VIC 56 is open to visitors a few times a year. To find out the dates for these open days, and how to get to the mooring, click here. Text Copyright (c) Henry Cleary. Photographs Copyright (c) Credited authors.